A wonderful part of being a curator is public enquiries. People of all ages bring in something wonderful they have found and ask to see a curator to find out more. A huge number of people have brought in what they know to be a meteorite. Found on a beach or a river bank, these pitted dark pieces have travelled millions of miles in the solar system, landing here on Earth. Sadly not. Of all the many, many ‘meteorites’ I have seen, I have only ever had one real one. The rest are a thing called slag. This isn’t offensive to the specimen they have found (although some of the people’s faces have looked a little shocked), it really is slag. Smelting of ores leaves a thick, bubbly residue which is poured away, and this waste is somewhat weirdly called slag. When it hardens, it can be dark, shiny, smooth and filled with air pockets. Broken, weathered bits are often found by rivers, or on the beach and they stand out because they don’t look like the local rocks. Very often curators will arrive at their desk to find something waiting for them. A caterpillar, a rock, a house spider, a house mouse and a mummified cat, amongst other things, have all greeted me, along with a hastily scribbled note. It is quite endearing that people leave things on your desk because of the job you work in. It’s not what we should do, but some do. Specimens and objects are large and need two hands to carry. Doors need something to open them. Without hands to pull down the handle, the next best thing to use is buttocks. This is more of a rare occurrence, but it does happen. In fact some buttocks have become so finely attuned to it, it is the preferred way of opening a door even at home. Oh this is a lovely one. One which will resonate with every museum curator no matter which department they work in. Every object in a museum collection will a have unique number, which relates to that individual object. With many museums being over a hundred years old, and hundreds of thousands of objects, these numbers are vital to identifying what that object is. So when a collection is deposited at a museum, every object is given a number and then recorded on the database. Simple. Time and historic screw-ups make this not so simple. Numbers fall off objects. Old cataloguing systems gave an object two (or three?!) different numbers. A lot of detective work is done by curators all the time to find the information from these historic hiccups to match the object to the information. For the responsibility and the variety of work they do, museum curators are not very well paid. Across all departments across all museums, they are most passionate people. No one starts work in a museum for the money. They do it because they love the objects, the collections, the history. And they want to share that passion with others. The media quite like stories from the museum store rooms. From lost treasures to ancient beasts, the media enjoy reporting on them, and people like reading about them. 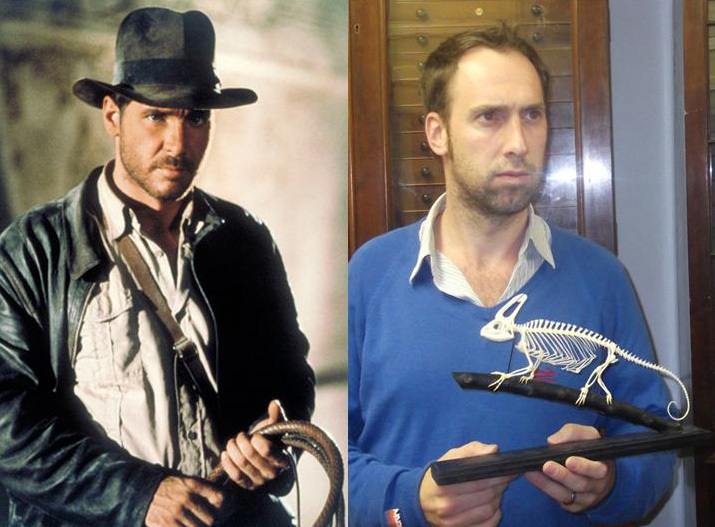 There is a ‘classic’ museum professional pose along with the story (something my colleague Mark Carnall picked up on with #MuseumPromo). Shots of staff staring lovingly at objects from fantastical angles are key to these media shots. Sometimes gloves add a little extra, but they are not often required to make the shot special. I am quite fond of these types of photographs. 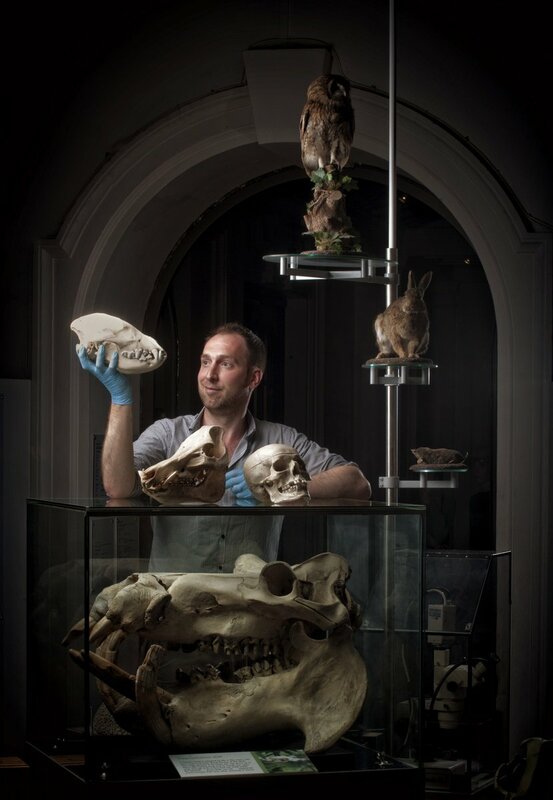 They don’t of course convey the real life of a museum curator – clearly holding objects in the way shown in some of these photos is not how we examine a specimen. Rarely do we stare at objects with such fierce, smouldering, passionate adoration (we do, but generally not in public). An exhibition one week. An outreach event another. Curators not only care for collections, they regularly carry out a huge range of tasks which means they are an incredibly adaptive bunch of people. Talks to school children, university students, the public and academics all need to be pitched differently, and curators deliver these regularly. Storing specimens from birds eggs to rocks needs special skills. Developing fun, engaging activities is not as easy as it sounds, but curators do this a lot to bring out their collections. In smaller museums in particular the huge range of tasks goes on and on. There is nothing quite like seeing a group of curators together in one room. The air is abuzz with pure joy. Outside of work curators rarely have the opportunity to talk about number blunders, or witty responses to bizarre enquiries. At a conference or meeting, when they are together, the curator is with others who understand the quirks. Their curious lives are shared and respected. Witnessing a get-together of museum curators is perhaps the most satisfying thing you will ever see. 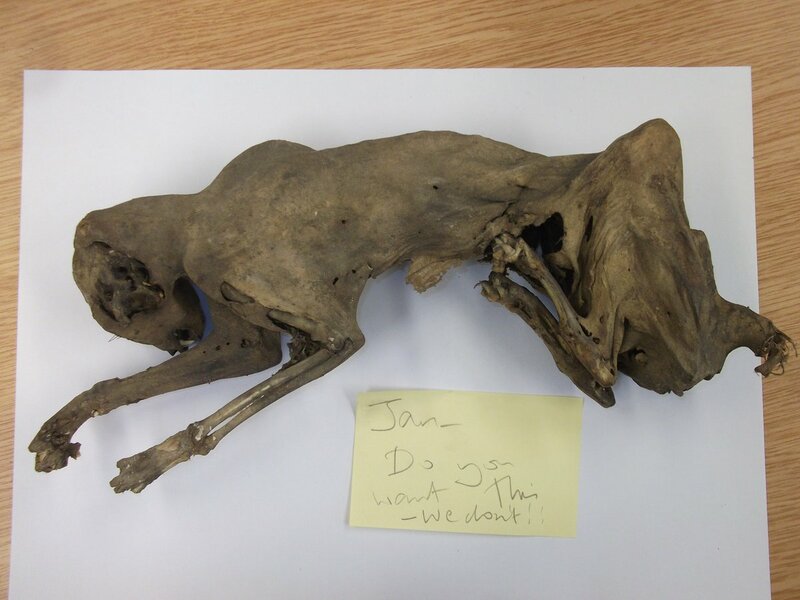 Written by Jan Freedman; Curator at Plymouth Museum, and NatSCA Committee Member. Thank you for a great summary of the role of curator. Now we have something to direct people to when they ask!